Make 4 payments of $5.94 over 8 weeks and get it now! 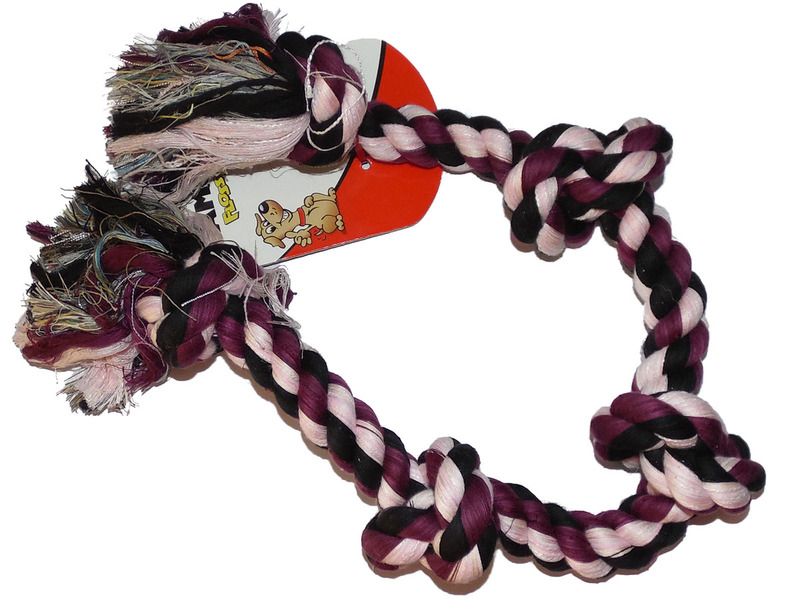 Safe for chewing and tough enough for extended play, Rope Toys are a great way to satisfy any dog’s natural desire to chew. 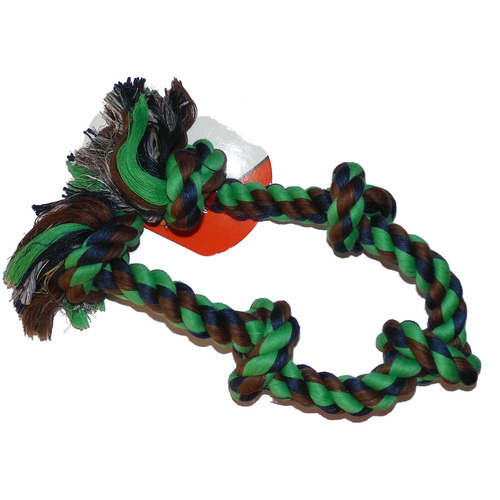 These three-colour, five-knot pastel rope bones are probably the ultimate when it comes to rope toys. 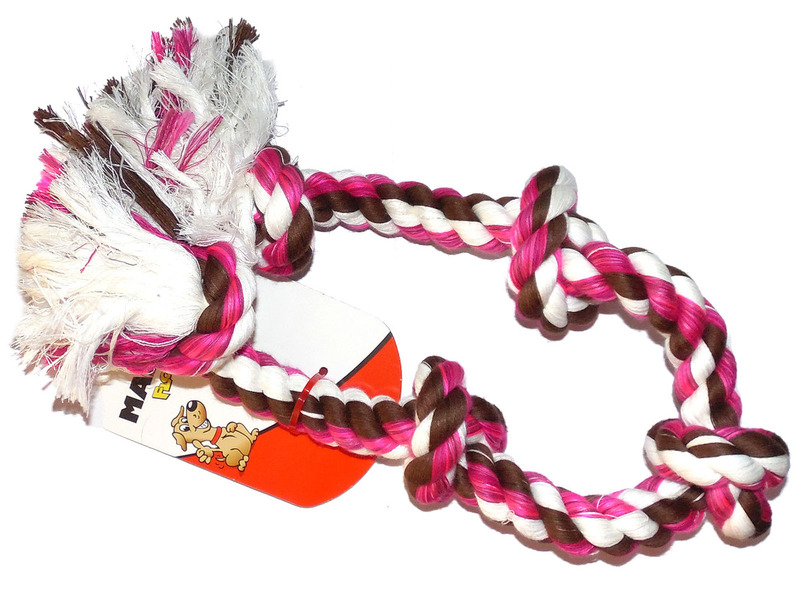 Part of the hot new Flossy Float Rope range from Mammoth, this toy is a huge 36 inches (90cm) in length with 5 knots each approx 4.5 x 9cm in size. 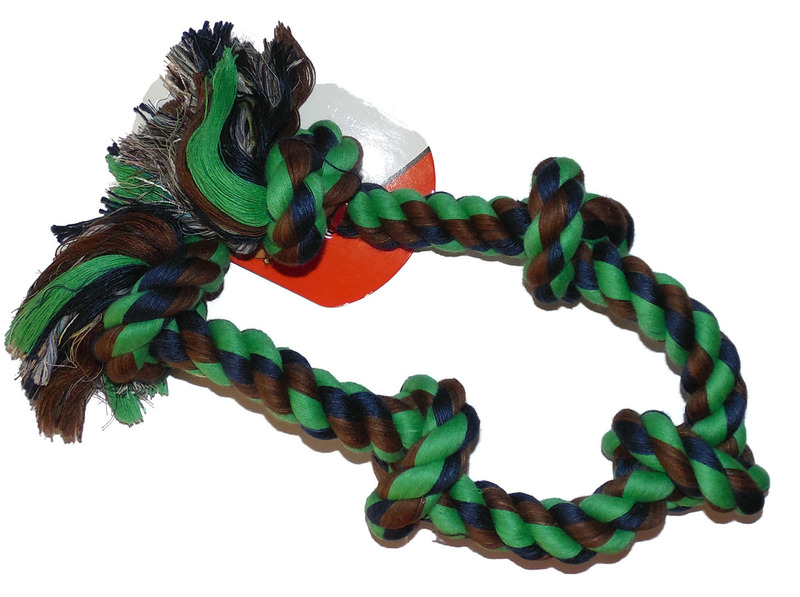 A colorful, long-lasting toy for the larger rope lover in your family. 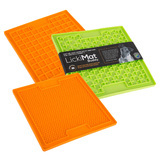 Perfect for tugging and tossing around, they also float so are great for water play too. 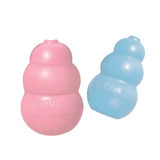 Helps to keep your dog’s teeth and gums healthy, and thereby assist keeping the breath fresh. 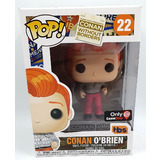 New stock available at last! 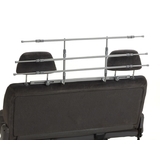 This toy is ideally suited to large to extra large dogs. PLEASE NOTE: No dog toy is indestructible. 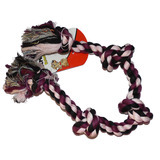 All new dog toys should be used under supervision until you are confident the dog is not going to destroy the toy. Rope toys hold up well to the vast majority of dogs. If your dog appears to be destroying the toy, you would be best advised to use toys specially designed for destructive dogs. 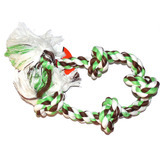 If your dog is a heavy chewer, please do not give them these toys except under strong supervision. 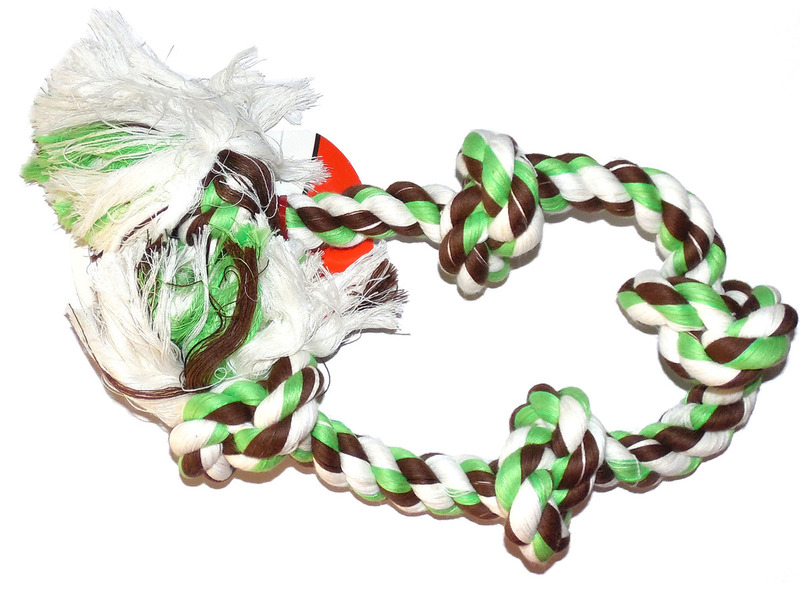 If you know your dog to be destructive, this toy is not for you. 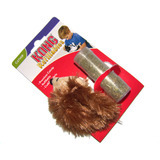 For the most really resilient toy made to withstand chewing, please look at our Extreme Kong chew toy, or our West Paw Design Toys, or our Orbee Tuff range. These are all Excellent toys for strong chewers. If you have any doubts about these issues, please feel free to contact us - we are happy to discuss it with you.